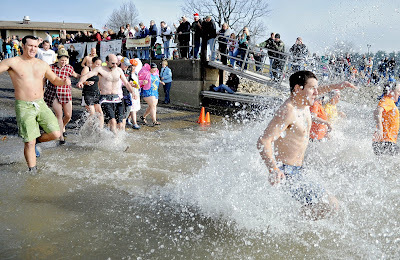 Jumping into 37 degree water on a brisk thirty degree morning doesn't seem like the best idea to me, but for a good cause over 100 people did on Saturday morning. 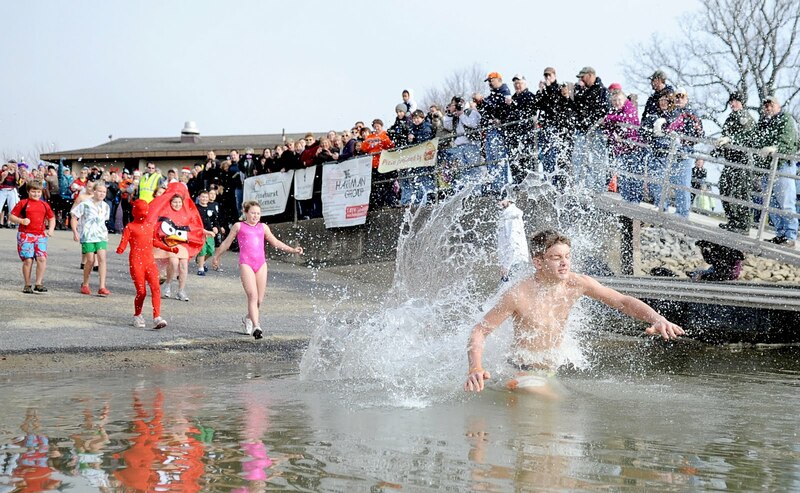 All the money raised from the plungers will benefit the local YMCA. 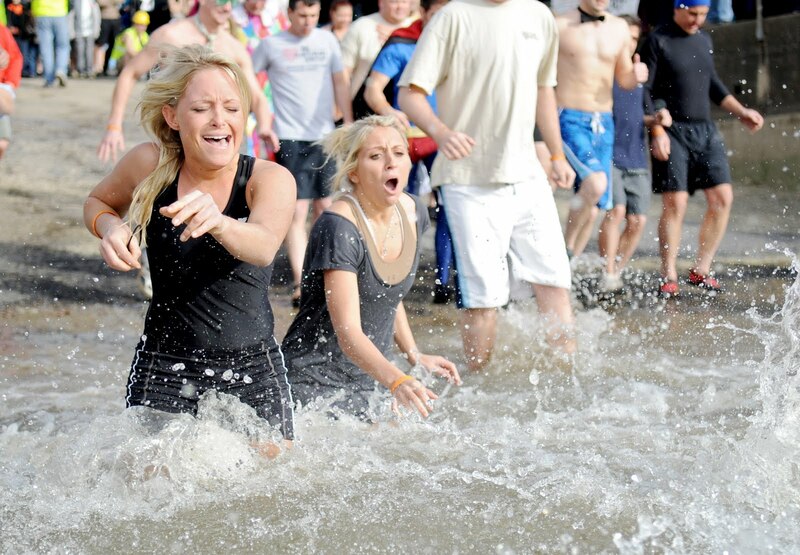 For the first time this year they had a "Little Dippers" category that had kids run into the water and back out. 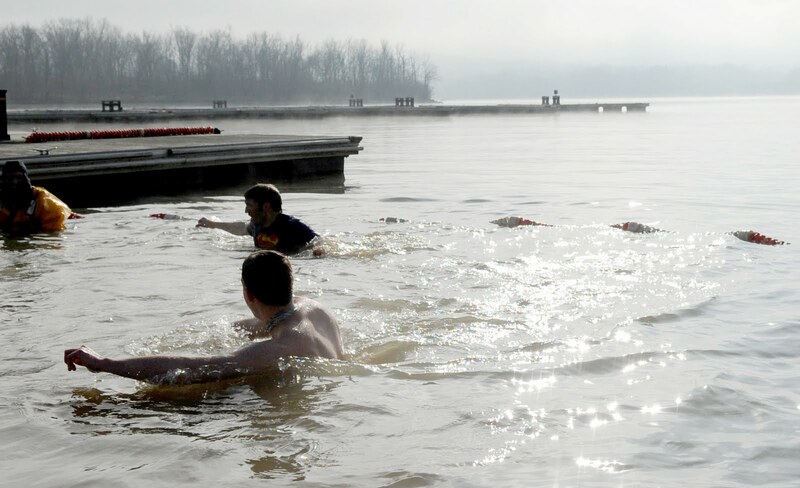 The next group were the super plungers, who had to run in, go under, run out and then back in, for a total of three times. 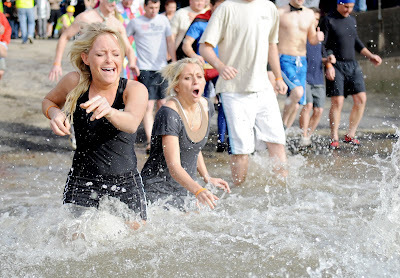 Some dressed up in costumes, and some in swim suits, but no matter what the attire the reaction to the water was the same. 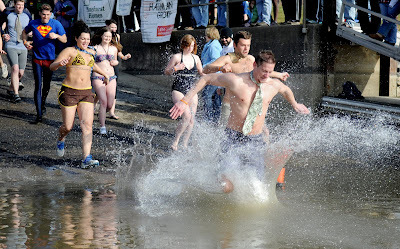 This two brave guys did the plunge a total of 6 times, each time swimming out to the rope and back. You can still see the fog and steam lifting off of the lake. I was chilly with my jacket and gloves on standing on the dock, but maybe next year I'll be more brave and take the plunge instead of cover the event.